Yep, you heard me. We’re all awesome. Autistic self-advocacy is on the rise, and it has built a significant ground in other countries, particularly in the United States. Here in the Philippines, though, autistic self-advocacy is a movement that we autistic Filipinos can take advantage of in pushing for our rights and acceptance. And I would like to share some of my ideas with the autism community, and hope to inspire others to follow suit. I was in this two-day autism conference, where I attended with two hats: the organizer’s hat and the self-advocate’s hat. It was where such topics as the DSM-V, the issue of stem-cell therapy as a purported treatment for autism (don’t get me wrong–I loathe autism cures), diverse therapies for autism, and others have been discussed. There was a part, though, that I love. This was a part of the conference where some awesomes (a name I gave to my fellow autistics) sat down in a panel, and told everyone inside the hall their life stories on how they cope with challenges that they face in daily living. The demographic was diverse: a singer, a wishful actor, a teaching assistant, and an office professional. Their stories were inspiring enough, but what inspired me even more was the fact that other awesomes are inside the same hall, waiting to be discovered. And so, when it was my turn to speak at the forum, I motioned every autistic individual to stand up. In a sea of parents, teachers, therapists, and other neurotypicals, I was amazed at those who stood up and showed themselves to the people in the hall. I saw a bigger diversity of awesomes in the house. Some of them are students, some of them are working. Some of them may seem lower-functioning, but that didn’t matter. The mere fact that I saw them at their sheer awesomeness further fired me up. Team Awesomeness. We guys all rock! Thanks to fellow awesome Carl for the photo. Now, that photo hasn’t included every awesome in the house. Some didn’t like to have a photo of themselves in that scenario, and I completely respect their choice. Others weren’t simply inside the hall, but somewhere else. 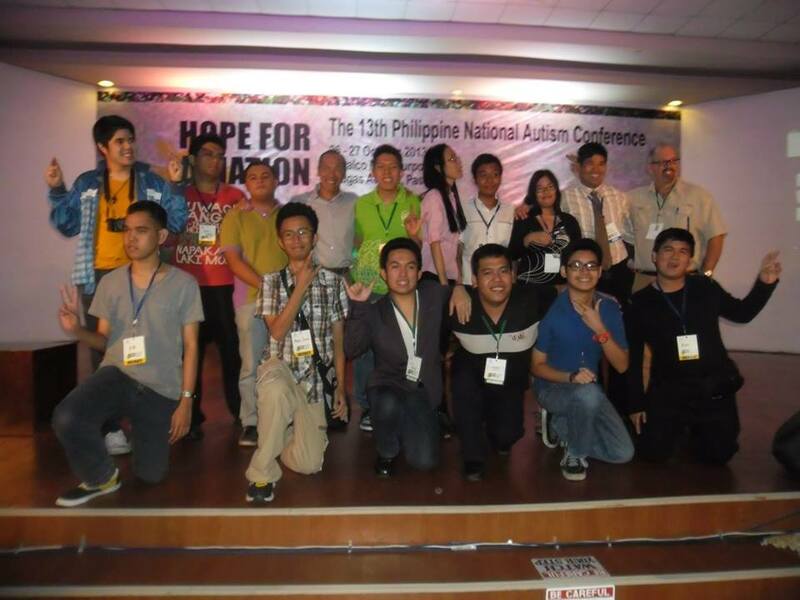 I believe we, as autistic self-advocates in the Philippines, see the brighter side of autism and its sheer awesomeness. Amid a society where there are still some who dwell on the negatives, let’s inject a lot of positivity and possibility. Let’s show them that our autism is our identity, and that we can live with it. We don’t need to be included in society — we are already part of it. Let’s counter ableism with enabling ourselves and each other. After all, society should be diverse, and we are part of that diversity. Also, we may want to go beyond the levels of Temple Grandin, James Durbin, Tony Atwood, and other famous people on the spectrum, and look at ourselves and each other, and see where we are now. If you think you’ve seen awesomes who are already awesome, inspire yourselves to be even more awesome. If you think you’re exuding a lot of awesomeness, share it and inspire other awesomes to be even more awesome. Build and continue the connection across all platforms. Let’s connect with each other, both here and abroad. Share what you have, no matter how little it seems to you. Even a little helps a lot. Our parents have always been searching for hope for us. Let’s return the favor and resolve their search, and show them that we are their hope. Our awesomeness is their hope. I can see that autistic self-advocacy is starting to bud in these 7,107 islands, and I see a great outlook in this movement. Be proud of your awesomeness. We’re already part of society. Enable ourselves and each other. Share the awesomeness within us. But most of all, get ourselves out in the world. I hope to be the spark to ignite the flame. Oh, by the way, Happy Autistics Speaking Day to everyone. I am reviving the Pride with Autism campaign. Watch out for updates. And it’s such an honor that you’ve used three exclamation marks on me! I am glad!